Have a look at how Psalm 33 gets translated in the Message. 1-3 Good people, cheer God! Right-living people sound best when praising. Use guitars to reinforce your Hallelujahs! Play his praise on a grand piano! give him a trumpet fanfare. everything he makes is sound inside and out. when his world is in plumb-line true. he breathed the word and the stars popped out. put Ocean in his keg. in place the moment he said so. he shoots down the world’s power-schemes. all his designs are made to last. blessed are the people he’s put in his will. he sees all Adam’s brood. he overlooks all us earth-dwellers. now he watches everything we do. no warrior wins by brute strength. no one gets by on muscle alone. the ones who are looking for his love. in lean times he keeps body and soul together. since we’ve taken for our own his holy name. that’s what we’re depending on. Posted in OldStuff and tagged creation, God, musings, worship. 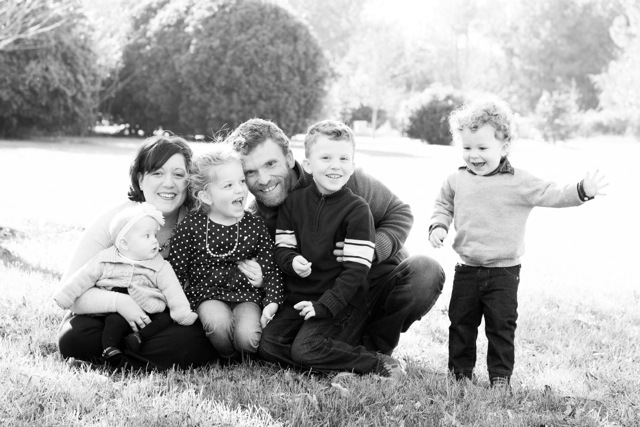 You found the blog home of two big kids (that would be the parents) and four little ones. This blog has changed quite a bit over the years. There was a time that I posted almost every morning as part of my routine. But that was several kids and several years ago. These days, the posts are a lot more rare, but hopefully more substantial. And all those posts from the past are still here in the archives. Like The Photography You See Here? Looking for an awesome photographer for hire? Look no further! Visit Steph's website and find out why you should hire her! Lauren D: I LOVE this! We spent a long time trying to find the right church for our family, and we hit the JACKPOT. Copyright © 2012-2014 Zack Riesland. All Rights Reserved.